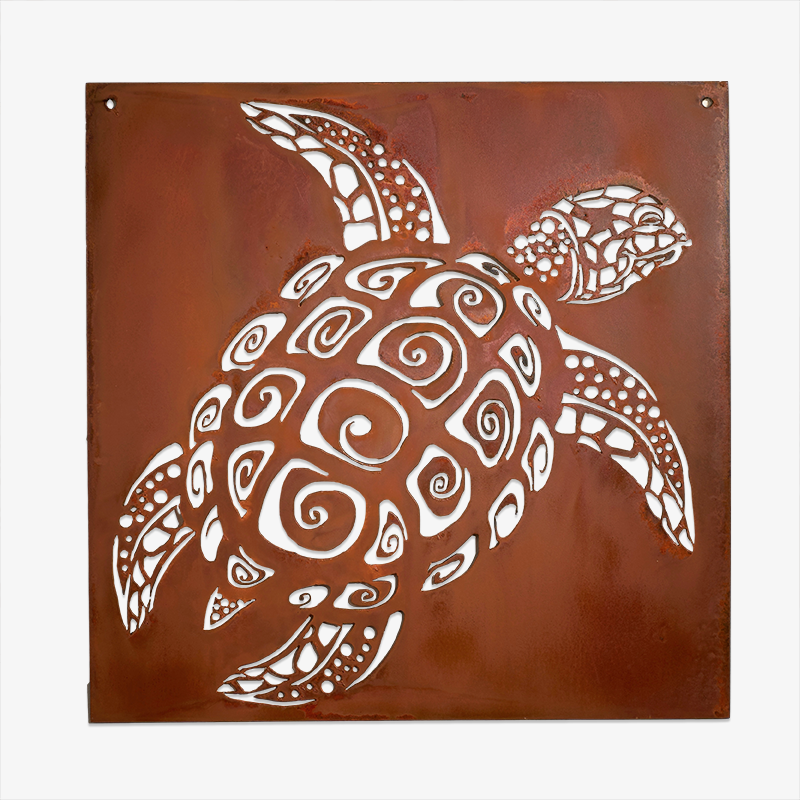 This rusty metal wall art piece features a sea turtle and (like all art by Elizabeth Keith Designs) can be displayed indoors or out. It's about 22.5" square and has holes in each corner for mounting. Ships flat.Elizabeth Keith Designs was created in 2009, but the idea for “whimsical garden art” has been a business dream for the owners for many years. Chris and Karen Montgomery and Mike Markham are the owners of Elizabeth Keith Designs located in Cary, North Carolina. In the fall of 2009 when they decided to start their own business they moved from Los Angeles to Cary, North Carolina and launched Elizabeth Keith Designs.